In the run-up to its BS6 preparations, Tata Motors has received BS6 Type Approval certificate for its 3.8L NA SGI CNG engine from ARAI (Automotive Research Association of India). It is the first OEM in India to achieve BS6 certification for a naturally aspirated CNG engine for commercial vehicles. This certification includes meeting the tailpipe mass emissions as well as compliance to On-Board Diagnostics (OBD) norms as mandated by government regulation. 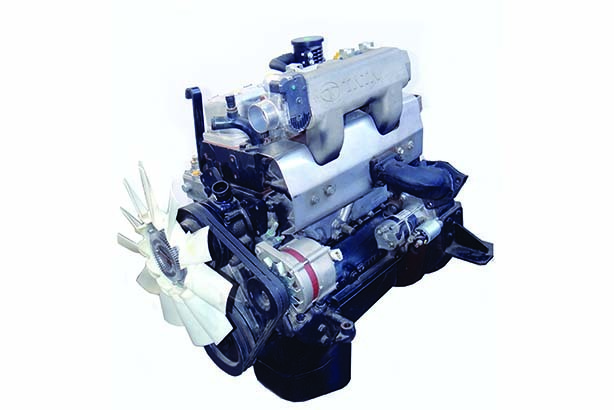 The 3.8 NA SGI CNG engine is a naturally aspirated engine, i e, it does not need a turbocharger. It produces a maximum power of 85 Ps @ 2500 RPM with a torque of 285 Nm @ 2500 RPM. This combustion occurs at stoichiometric conditions in this engine. This engine comes with sequential gas injection technology, pioneered by Tata Motors in India. Exhaust after-treatment system featuring three-way catalytic converter reduces pollutants below limits mandated by regulation.